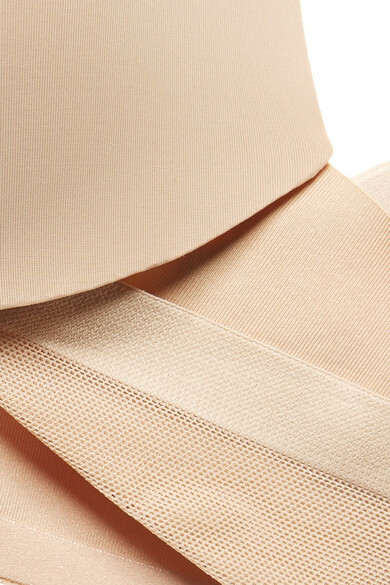 Calvin Klein Underwear's 'Sculpted' bra updated in a beige hue the brand calls 'Bare' - it's the perfect choice for underpinning white or sheer tops. Made from smooth stretch-jersey, it's trimmed with airy mesh along the wings and has padded, underwired cups for lift and support. Wear yours with the matching briefs.